Angel's Creative World: YNS Fun Friday - You're so sweet! YNS Fun Friday - You're so sweet! Hi all! 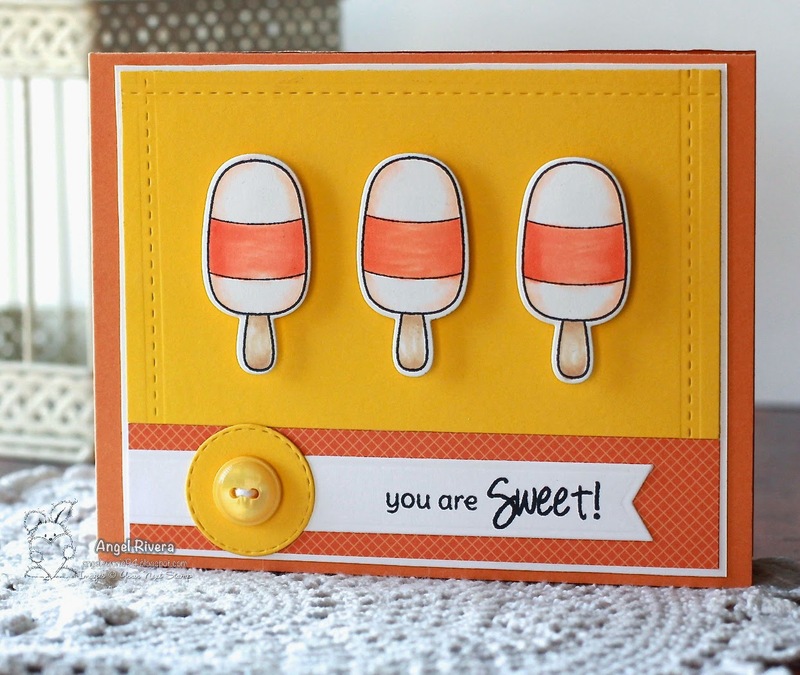 Here's my card using the new sketch challenge on the YNS Blog! I used the Sweet and Cool set and matching dies. I created the stitched lines with the stitched line die (duh, lol!) ;) I was thinking of those yummy orange Dreamsicles when I colored these. Oh, and I also used one of the elements from the Open Scallop Die set (the stitched circle behind the button) - love the details of the stitching! Thanks for stopping by! Be sure to stop by the YNS Blog and play along for your chance to WIN! Great card Angel. I really like the colours you used on the popsicles. I couldn't be happier for you! YNS Feature Day - Make a wish! YNS DT Dare - Tweet! Tweet! YNS Fun Friday - Have a cool birthday! Your Next Stamp April New Release Blog Hop! Your Next Stamp - Sneak Peek Day!